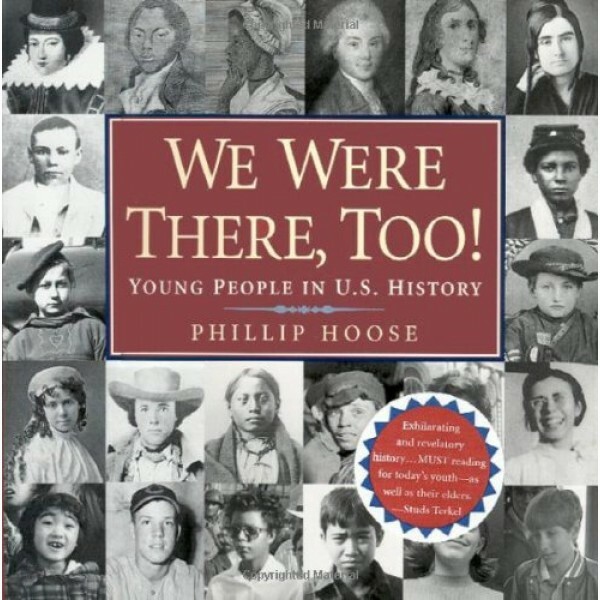 From the boys who sailed with Columbus to today's young activists, this unique book brings to life the contributions of young people throughout American history. Based on primary sources and including 160 authentic images, this handsome oversized volume highlights the fascinating stories of more than 70 young people from diverse cultures. Young readers will be hooked into history as they meet individuals their own age who were caught up in our country's most dramatic moments -- Olaudah Equiano, kidnapped from his village in western Africa and forced into slavery, Anyokah, who helped her father create a written Cherokee language, and Jessica Govea, a teenager who risked joining Cesar Chavez's fight for a better life for farmworkers. Throughout, Philip Hoose's own lively, knowledgeable voice provides a rich historical context -- making this not only a great reference but a great read. Quick -- name five noteworthy children in U.S. history. If you're like most, you probably stalled after Sacagawea and Pocahontas. Young people have always gotten short shrift when it comes to the record of American history. And yet, wouldn't the study of history be far more compelling to students if they could relate to figures their own age? Author Phillip Hoose believes so. He found that behind every major event in U.S. history were young people -- brave, fearful, poor, rich, adventurous, clever, tragic, curious, and strong. We Were There, Too! examines the lives of dozens of youth who helped shape our nation: Nine months before Rosa Parks refused to give up her seat on a Montgomery, Alabama, bus, 15-year-old Claudette Colvin did the very same thing. On one of Columbus's voyages to the New World, 56 (out of 99) crew members were 18 or younger. In 1814 two sisters from Massachusetts, Rebecca Bates, 19, and Abigail, 15, routed approaching British soldiers by playing 'Yankee Doodle' on fife and drum. The British, believing an American army was congregating for an attack, turned and fled. And in contemporary times, 13-year-old Ryan White, infected with AIDS, stood up to a school district that wanted to prevent him from going to school, eating in the cafeteria, and having a normal life with his friends.